Japan is a small island country that was in the recession, suffering from over population,and lack of resources. So they spread out to attack other countries like China, Korea, and eventually found themselves pushing into European territories. The U.S demanded them to stop and cut off all scrap metal and crude oil exports to Japan. Japan did not take kindly to that action and relationships became strained. Also, the pacific Navy was a huge threat to japans conquest in the Pacific and Asia, and if they ever got involved then full force of the U.S Navy would completely end their conquest. Was the Pear Harbor attack a surprise or was there warning? The Pearl Harbor attack was a surprise attack. Minimal contingent soldiers were on duty at this time. he incoming Japanese planes were caught on radar but were mistaken for an incoming group of American planes. An American destroyer had spotted a Japanese submarine attempting to sneak into the harbor but was fired at, reported, but ignored. There were veiled warnings and isolated events of the Japanese hostilities in the weeks ahead of the attack, no one in command at Pearl Harbor expected the Japanese to attack. 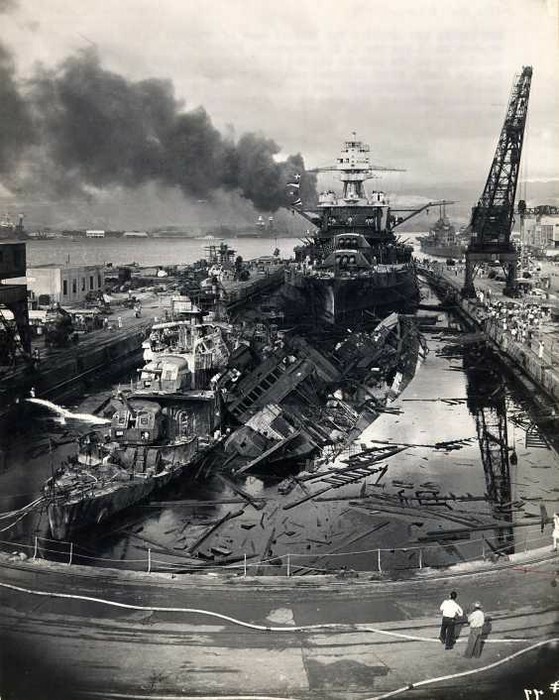 What happened at Pearl Harbor on the morning of December 7, 1941? The base was attacked by 353 Japanese fighters, bombers, and torpedo planes. All eight U.S Navy battle ships were damaged. 2,402 Americans were killed, and 1,282 were wounded. Power stations, shipyards, maintenance, fuel torpedo storage facilities, and headquarters were not attacked. Japans losses were light, 29 aircraft and five midget submarines lost. 65 servicemen killed or wounded. One Japanese sailor was captured. What was the result of the attack on Pearl Harbor? The next day after the attack, Franklin D. Roosevelt had declared war on Japan. Which was the start of World War two. 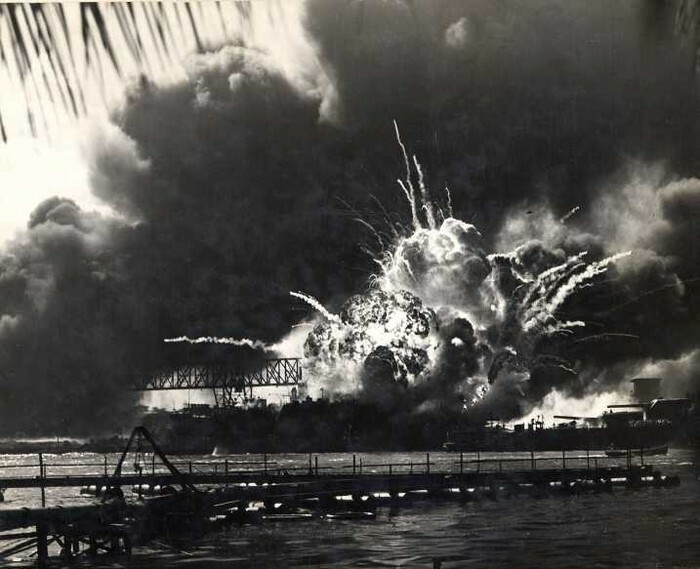 The Pearl Harbor attack immediately galvanized a divided nation into action. This was a very defining moment for Americans. They united against Japan in response to calls to "Remember Pear Harbor". the public wasn't going to take this lying down. Anyone who could, signed up to serve in the war.